I first heard about dead hedges in the BBC's fantastic history programs concerning historic farming. 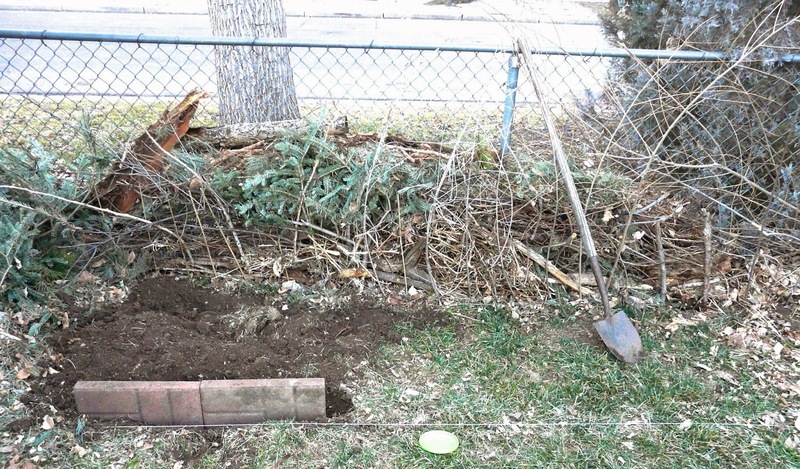 It was commonly used as stock fencing in spots that a live hedge wasn't growing. But there are a number of important features of a dead hedge that make it useful in the modern garden as well. 1.) It uses up material that does not compost well unless you have a mulching machine. 2.) It offers important habitat to many wild garden friends, including native bees! 3.) It's basically free. I bought a few sturdy stakes to complement my scavenged branches. Here it is growing and shaping up. As other parts of the yard get cleared out and suckers get trimmed down I keep finding more and more material to add to it. 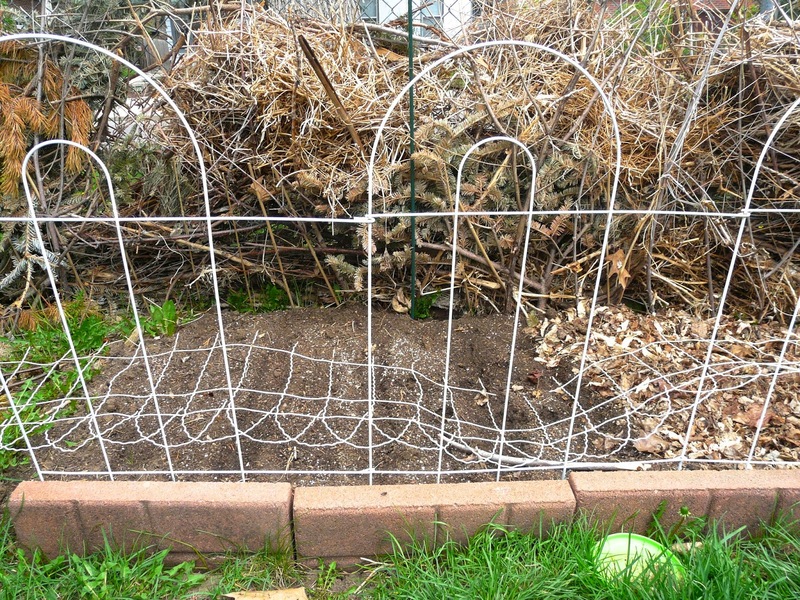 I've been digging my new veggie bed right in front of it and that has yielded tree roots as well. And now, spring has sprung, the grass is painfully green, there are rows of beets planted, and the hedge is almost to the top of the fence. It will compact with time so I will have to keep adding to it. 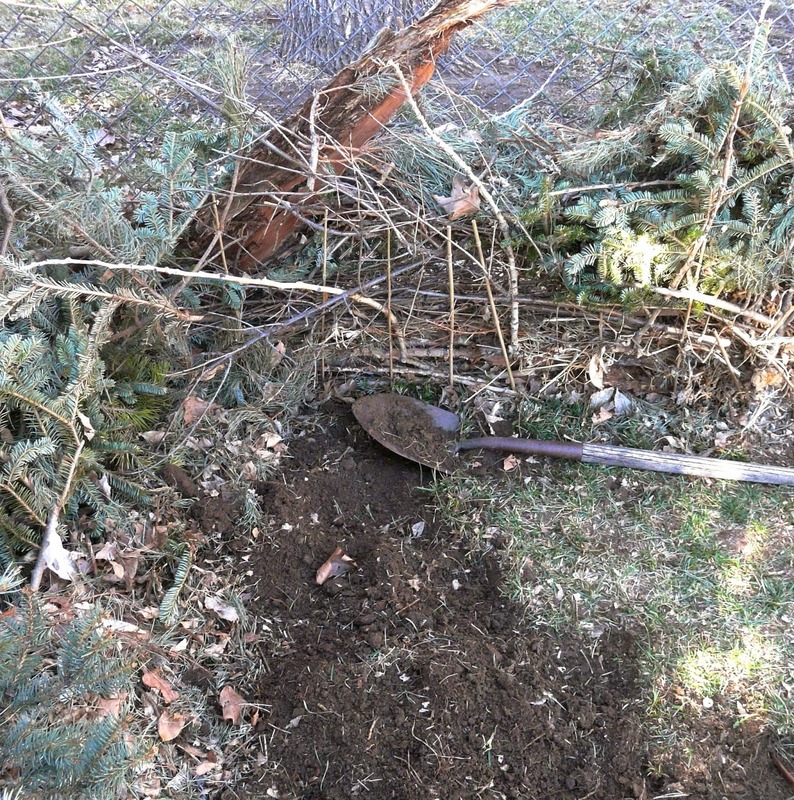 Fortunately, I have plenty of pruning yet to go, so there will be no lack of materials!